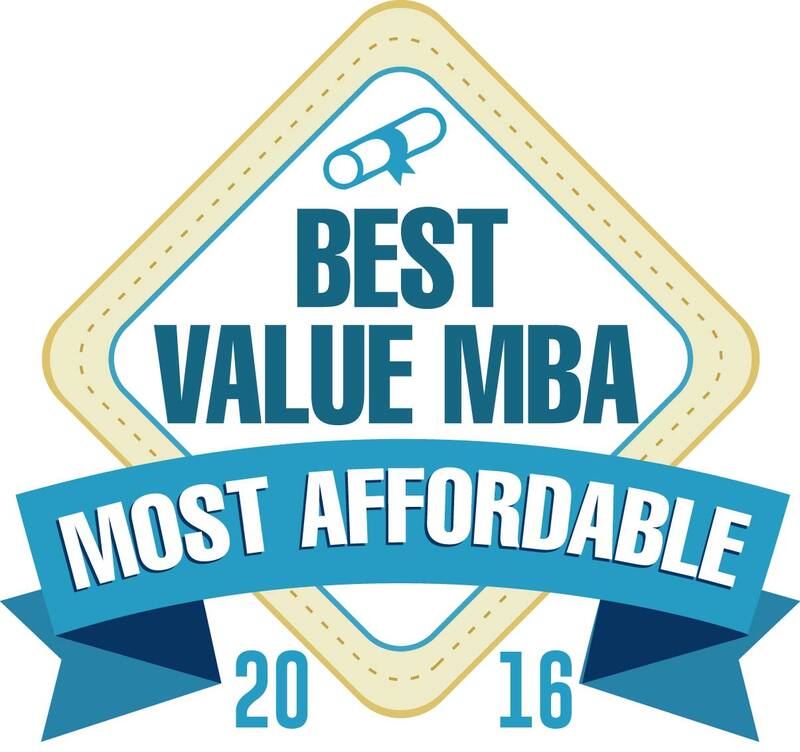 Welcome to our ranking of the top 50 most affordable online MBA programs. These 50 programs were selected for their affordability out of over 500 MBA programs offered online. The market for MBA programs offered online has responded to the demand with an explosion in the number of programs offered 100% online. 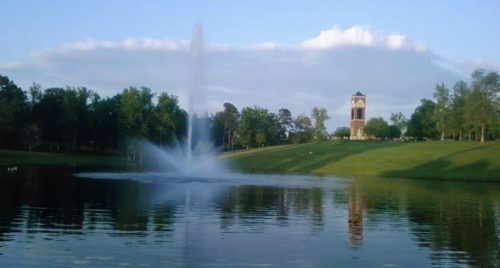 All of the programs ranked here are offered by regionally accredited public or private nonprofit universities. Many of the programs have additional accreditation from national and international accrediting bodies like the AACSB, ACBSP, and IACBE. Each entry features a spotlight that lists the most unique or interesting concentration (if any) offered by the university. Schools were ranked solely based on their tuition. When schools had multiple tuitions (such as in-state vs. out-of-state) the higher figure was used for the purpose of determining the school’s rank. The Online MBA in Supply Chain Management is accredited and affordable. Arkansas State University’s online MBA program is accredited by the AACSB. Concentrations include finance, healthcare administration, management information systems, supply chain management, and international business. Some of the courses available to students in those concentrations are healthcare policies and ethics, current issues in healthcare administration, electronic commerce, and logistics operations. The Online MBA in Nursing Management is a rare offering at a great price. 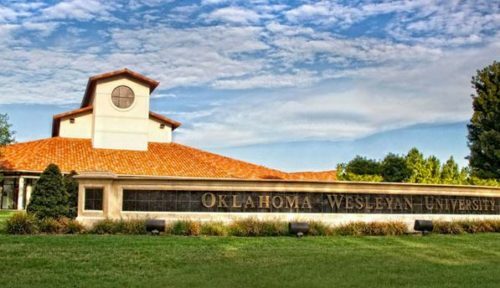 Oklahoma Wesleyan University does not require applicants to their online MBA program to submit GMAT scores, and requires a 3.0 GPA for admission, or a 2.5 for probationary admission. The concentrations offered by the school are human resources management, finance, marketing, organizational leadership, and nursing management. Christian ethics is a feature of the affordable Online MBA in Healthcare Administration. Mount Vernon Nazarene University’s ACBSP-accredited online MBA program strives to integrate it with the Christian faith’s ethical framework. The program offers concentrations in finance, human resource management, healthcare administration, and organizational management. The courses students will take include corporate finance strategy, organizational management, and healthcare human resources. 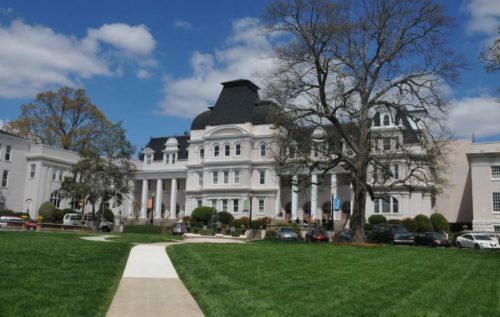 Brenau is offering an Online MBA in Management for under $9,000 per year. 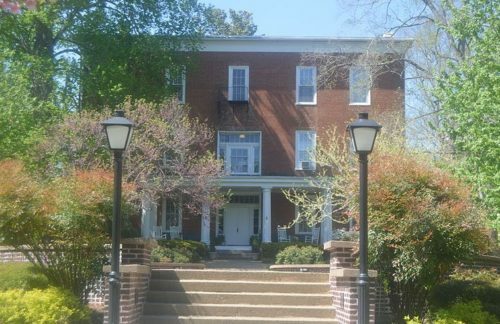 Students already holding a graduate degree can earn Brenau University’s management certificate by completing just five courses. The full MBA also offers the management certificate in the form of a concentration. Students will take courses like cross-cultural business challenges, global economics, critical thinking, management leadership, introduction to project management, and international organizational behavior. This AACSB-accredited Online Master’s in Business Administration has a no-GMAT option. 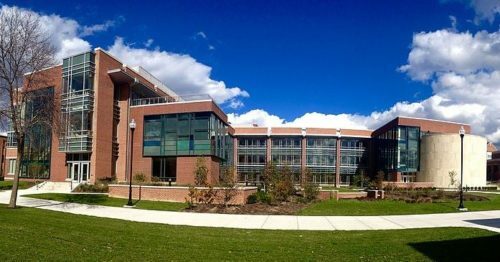 Full-time students can complete Frostburg State University’s AACSB-accredited online MBA in just one year. Applicants are required to submit GMAT scores unless their undergraduate GPA is 3.65 or higher, or 3.25 with two years of professional experience. Courses the students will take include managerial accounting, information management, strategic human resource management, and management decision analysis. The Online MBA in Cybersecurity Issues in Business prepares graduates who know how to assure the security of their organizations. Salve Regina University’s online MBA program is accredited by the IACBE. Concentrations offered are cybersecurity issues in business, entrepreneurial enterprise, healthcare administration and management, nonprofit management, and social ventures. Some of the courses students will take in these concentrations are social entrepreneurship and social enterprise, fundraising and marketing for nonprofits, and cyber threat management. The Online MBA in Market Research and Social Media Analytics is cutting edge and affordable. 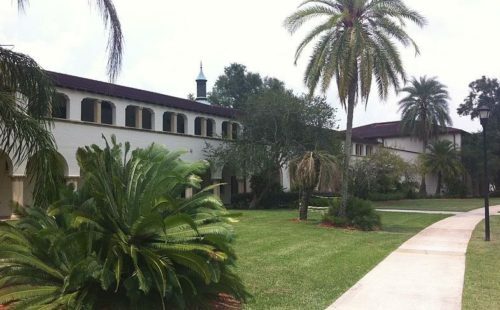 Saint Leo University offers a one year track for their IACBE-accredited online MBA program. The program offers concentrations in accounting, heathcare management, human resource management, information security management, marketing, market research and social media analytics, project management, sport business, and supply chain global integration management. WNMU’s Online MBA in Healthcare Administration is potentially no-GMAT. 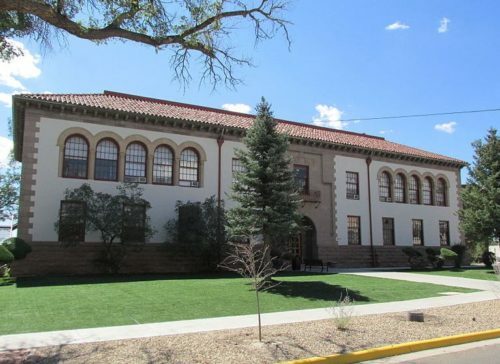 Western New Mexico University does not require applicants to the online MBA program to take the GMAT if their GPA is 3.2 or greater. 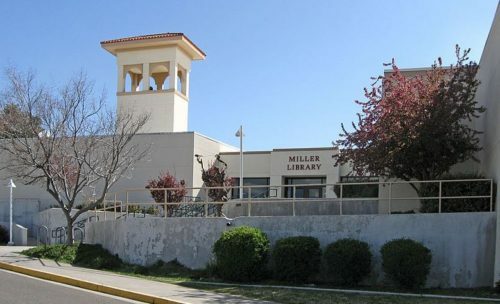 WNMU offers concentrations in international business, management information systems, and healthcare administration. Some of the courses students will take are contemporary healthcare environment, information systems networking, and international human resource management. Get an Online MBA in Accounting for under $9,000 annual tuition at Northwest Nazarene. 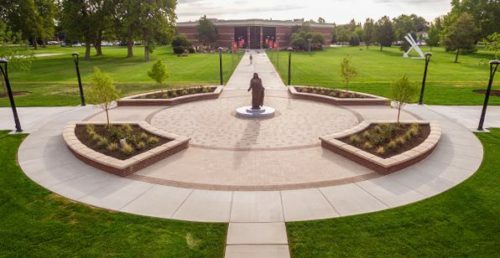 Northwest Nazarene University’s ACBSP-accredited online MBA program is designed so working adults can finish in just 16 months. The accounting emphasis will help qualify students who already have an accounting bachelor’s for the CPA exam. Some of the courses available include managerial and cost accounting, leadership development, strategic marketing, strategic management, and managing in a global economy. This Online MBA in Non-Profit Management trains faith-based leaders. Crown College is a Christian school offering an online MBA with the goal of enabling graduates to lead others from a faith-based perspective. The only concentration offered is the optional non-profit management track. Students will take courses on non-profit law, leadership and management for nonprofits, fundraising and philanthropy, marketing for nonprofits, international finance, and operations management. Check out the fast track option for this Online MBA in Leadership. 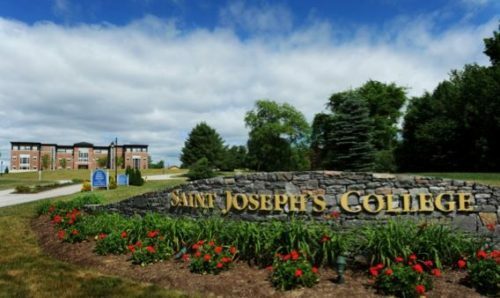 Saint Joseph’s College offers a unique fast track option that allows online students in undergraduate programs who meet the admission requirements to take three graduate courses from the leadership MBA program as electives in their undergraduate program. Some of the courses available in the online leadership MBA are knowledge-based decision making, strategic leadership of human capital, and corporate strategic leadership. This AACSB-accredited Online Master’s in Business Administration is perfect for students looking for a standard business degree. 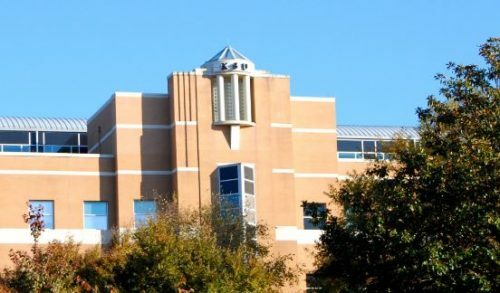 Kennesaw State University is part of Georgia’s AACSB-accredited WebMBA collaboration. There are six state schools involved in the Georgia WebMBA. The program offers no concentrations, opting instead for a no-frills general business degree. The Georgia WebMBA features courses like global and international business, business strategic management, management information systems, managerial finance, and human behavior in organizations. The Online MBA in Sport Management leads to an exciting career field. 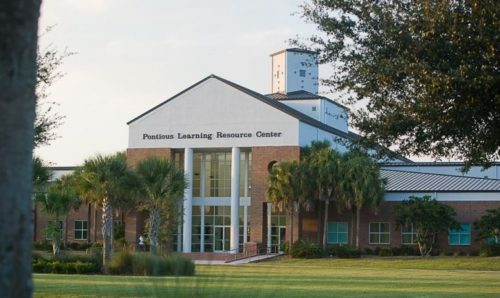 Southeastern University is a Christian school that puts great emphasis on servant leadership and business ethics informed by a Christian worldview. Concentrations in the program include executive leadership, missional leadership, criminal justice, and sport management. Some of the available courses in these concentrations are leading across cultures, global social entrepreneurship, theory and practice of the criminal justice system, and facility planning and management in sport. This well-rounded Online MBA in Nonprofit Management is taught from a faith-based perspective. 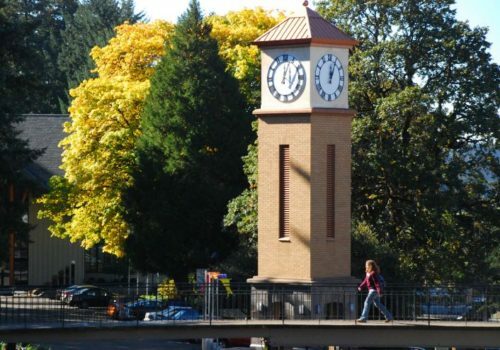 Corban University is a Christian school that strives to enrich each student’s academic and spiritual life. Concentrations offered in the online MBA program include non-profit management, human resources, and management. Some of the courses in these concentrations are entrepreneurship, financial planning, managing the non-profit organization, human resources strategy, and managing change. The Online MBA in Energy and Land Management is a rare concentration at an inexpensive tuition rate. 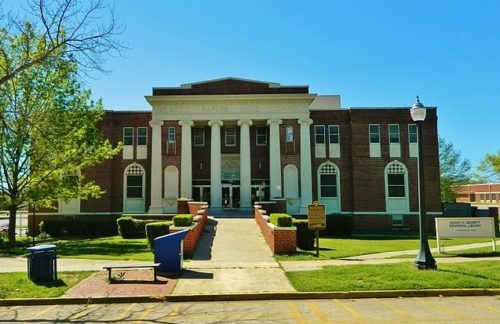 Oklahoma Baptist University offers all their ACBSP-accredited online MBA concentrations as independent graduate certificates. The concentrations offered are project management, leadership, energy management, international business, and energy and land management. Some of the courses students will take in these concentrations include leadership structures and relations, managing for results, 21st century global energy environment and issues, and international business. This Online Master’s in Business Administration is one of the most affordable available today. Carson-Newman University does require applicants to submit a GMAT score and have a GPA of 2.5 or greater. The GMAT requirement is waived for working professionals with at least two years of professional work experience, a 3.0 GPA, or four years of professional work. 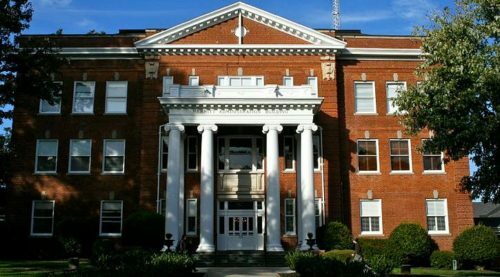 Some of the courses students will take at Carson-Newman include accounting and financial management, leadership, and strategic marketing management. An Online MBA in Environmental Sustainability leads directly into a trending career area. Wilmington University’s IACBE-accredited online MBA program features flexible admission requirements that don’t require applicants to submit GMAT scores. 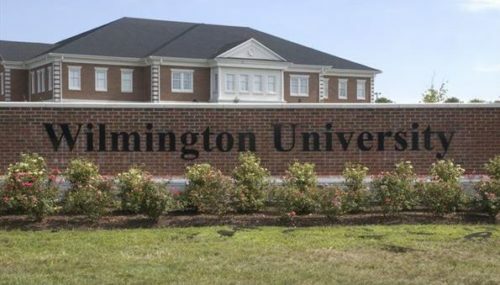 Wilmington offers a number of concentrations, including business technology management, environmental sustainability, healthcare administration, homeland security, nonprofit management, organizational leadership, and marketing management. Get an AACSB-accredited Online Executive MBA in Energy Finance for under $8,000 annual tuition. 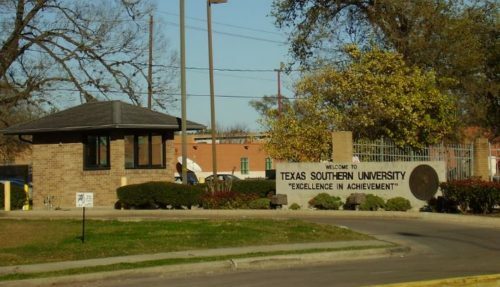 Texas Southern’s AACSB-accredited online executive MBA is 36 credits taken at a pace of two classes per semester for six semesters, which is considered full-time. The program offers concentrations in general business and energy finance. Some of the courses students will take include energy finance, energy trading, financial valuation and modeling, management information systems, managerial accounting, and managerial communication. Campbell University offers a unique Online MBA in the Study of Transnational Law and Negotiation. Campbell University’s online MBA program can be completed in as few as 12 months by taking two courses at a time. The program offers certificates in the study of negotiation and the study of transnational law and negotiation. The program also offers a study abroad option for students who want to add international experience to their resume. Some of the courses available are management of financial institutions, marketing research, human resource management, and organizational behavior. 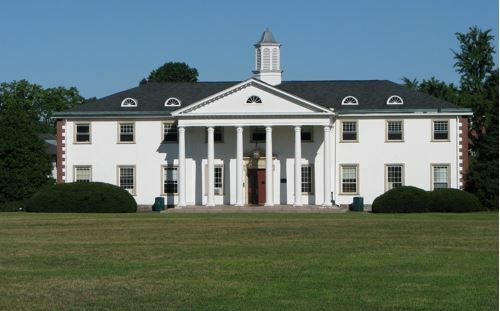 Del Val’s Online MBA in Food and Agribusiness is a no-GMAT program. Delaware Valley University has rolling admissions, six terms, and doesn’t require applicants to submit a GMAT. Students can choose to specialize in areas like entrepreneurship, finance, supply chain management, food and agribusiness, accounting, global executive leadership, and human resources. Courses include current issues in food and agriculture, global supply chain management, and auditing. The Online MBA in Public Relations comes from a school with broad experience in online education. Liberty University offers two ACBSP-accredited online MBA programs. The basic program is 36 credits, while the program that offers concentrations is 45 credits. The concentrations available to students are accounting, criminal justice administration, healthcare management, human resources, international business, leadership, marketing, project management, public administration, and public relations. Queens’ AACSB-accredited Online MBA in Leadership is ideal for students seeking short residency requirements. 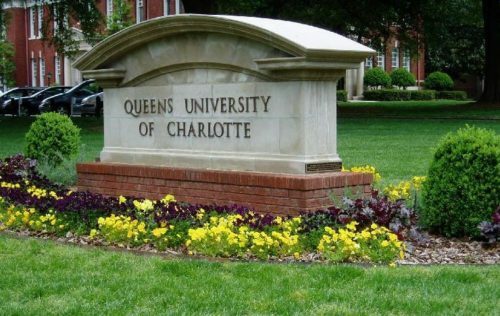 Though all courses are offered 100% online the AACSB-accredited online MBA program at Queens University of Charlotte does require students to participate in two weekend-long residency sessions. Queens offers students a concentration in leadership. Some of the courses available in the program are leadership development, organizational behavior, managing in a global context, corporate governance and ethics, strategic planning and implementation, and management information systems. The Online MBA in Human Resource Management is just one of several concentrations available from Park. 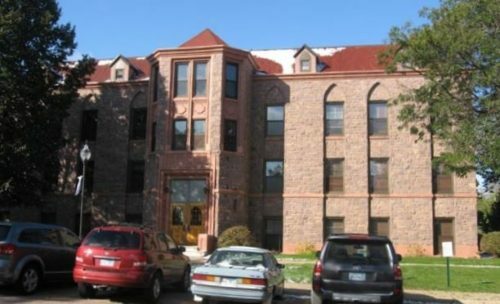 Park University’s online MBA program is ACBSP-accredited. The concentrations available to Park online MBA students are general management, finance, human resource management, international business, and management information systems. The courses available in these concentrations include financial derivatives, change management and conflict resolution, strategic global business management, and systems analysis and design. The Online MBA in Nonprofit Management could be no-GMAT. 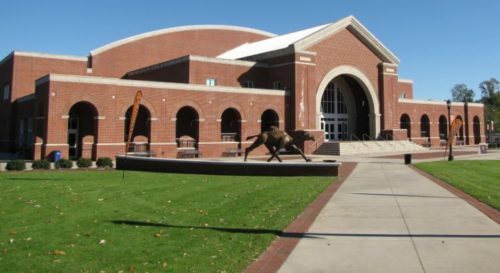 Greenville College suspends their GMAT requirement for students with 12 undergraduate credits in accounting, finance, statistics, or economics. 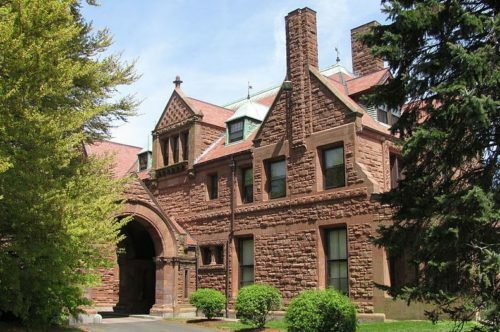 Applicants who have already earned a master’s degree or have two years substantive managerial experience will also be given special consideration. Students can choose between concentrations in business administration, human resource management, and nonprofit management. Christian ethics is a feature of this Online Master’s in Business Administration from Anderson. Anderson University does not require applicants to submit GMAT or GRE scores during the application process. 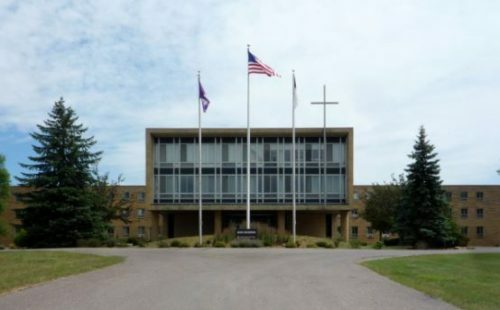 Anderson is a Christian university that strives to combine academic and spiritual teaching in their courses. Some of the courses students will take are management thought and application, quantitative analysis, strategic human resource management, and operations and management. A rare Online MBA in Forensic Accounting is available at a super price. Applicants to Gardner-Webb’s ACBSP-accredited online MBA must submit either GMAT or GRE scores, and have a GPA of 2.5 or greater. 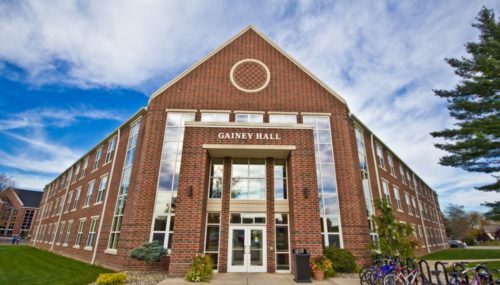 Gardner-Webb features concentrations in accounting, banking and finance, forensic accounting, international business, healthcare management, hospitality and tourism management, and human resources management. Students in the hospitality and tourism management emphasis will take courses like international hospitality, legal aspects of hospitality and tourism, and meetings, conventions, and event planning. Consider Oakland City’s Online Master’s in Business Administration from a faith perspective. Oakland City University makes applying to the program easier than ever with no required GMAT or GRE scores, or even letters of recommendation or extra fees. Oakland City University is a Christian university and strives to teach all MBA courses from a Christ-centered perspective. Some of the courses students will take are business research methods, financial and managerial accounting, leadership and organizational behavior, and management information systems. The Online MBA in Entrepreneurial Leadership propels graduates to the next level of success. The ACBSP-accredited online MBA program at William Woods boasts that 94% of their graduates are working or earning an advanced degree. The entrepreneurial leadership concentration features courses like entrepreneurship/marketing planning and development, management systems, managerial ethics, and human resources and organizational behavior. The Online MBA in Public Administration is just one of many concentrations available. 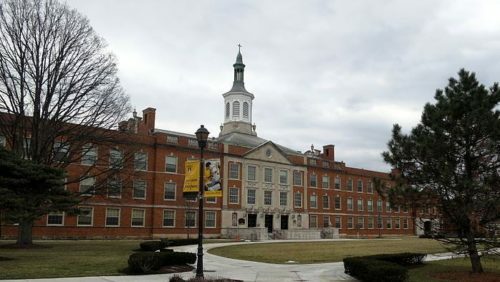 Ohio Dominican University does not require applicants to the online MBA program to submit GMAT scores. The concentrations offered by the program are accounting, finance, leadership, public administration, risk management, and sport management. Some of the courses available in those concentrations are behavioral finance, accounting for government and nonprofit organizations, project management, public policy, sport psychology, and risk management and insurance. This Online MBA in Healthcare can put you on the fast track in the health field. Full-time students can complete the University of Sioux Falls online MBA program in just one year. Students can choose between concentrations in general management, healthcare, and business innovation and marketing. Some of the courses available in the MBA program and its concentrations are managerial communications, innovation and problem solving, organization development and change, and healthcare systems. The Online MBA in Human Resources is an affordable faith-based degree. 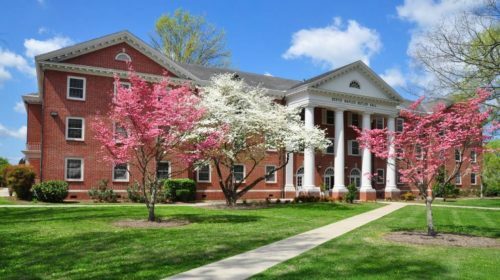 North Greenville University is a Christian school that teaches business, analytical, and critical thinking skills with a spiritual component. The program offers a concentration in human resources. Some of the courses included in the degree are international human resources, strategic issues in human resources, human resources selection and placement, managerial economics, and research methods in business. 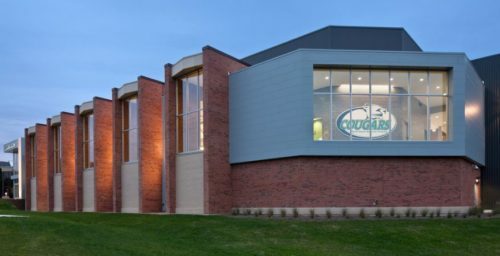 Spring Arbor is offering an Online MBA in Organizational Development at a super price. Spring Arbor’s online MBA program doesn’t require applicants to submit GRE or GMAT scores. 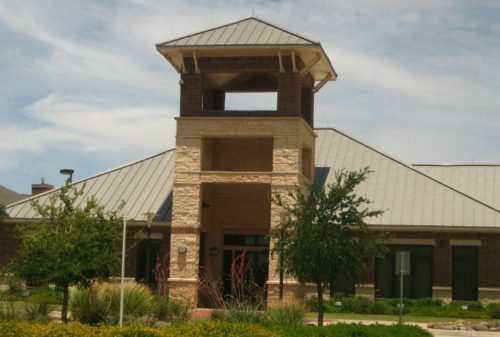 The six concentrations offered by the school are finance, healthcare administration, human resource management, management, organizational development, and strategic leadership. Some of the classes in the organizational development concentration include organizational psychology, groups and teams in organizations, and organizational culture and strategy. Techies will be drawn in by the unique tuition approach in this Online MBA in Information Technology Management. Due to its unique tuition structure, which charges by semester instead of by credit, WGU can be one of the cheapest online MBA options for full-time students. WGU offers online MBA programs in information technology management, healthcare management, integrated healthcare management, management and leadership, and accounting. WGU was recently ranked by Fast Company as one of the world’s 50 most innovative companies. This Online Master’s in Business Administration can be completed in a timely manner at Bethel. 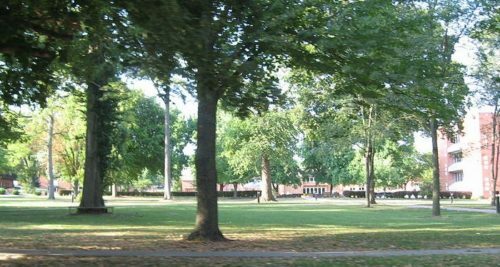 Bethel College requires the GMAT only on a case by case basis. This degree can be completed part time in just 24 months. Students may begin the program at any time, and request a suspension at any time, allowing for complete flexibility. Students will take courses like management in action, leadership theory and applications, organizational communication, economic perspectives, and fundraising and board development. Warner’s Online MBA in Accounting is among the most accessible. All Warner requires of applicants is a 3.0 GPA and bachelor degree. Students with a 2.0-2.99 may be admitted but require additional approval. The accounting concentration is designed for students who wish to pursue their CPA and requires a prior accounting background. The other concentrations available are international business and human resource management. Students will take courses like talent management, employment law, international finance, cross-cultural management, and marketing management. A rare MBA offered by NMHU is the Online MBA in Oil and Gas Management. The ACBSP-accredited online MBA program at NMHU offers certificates in accounting, finance, human resources management, and media marketing. Some of the concentrations available to students are international business, management, marketing, and oil and gas management. Students who choose the rare oil and gas management concentration will take courses like oil and gas accounting, oil and gas contract law, energy policy and regulation, energy economics, and oil and gas value chain management. The Online MBA in Tourism and Event Management propels graduates into an exciting career field. 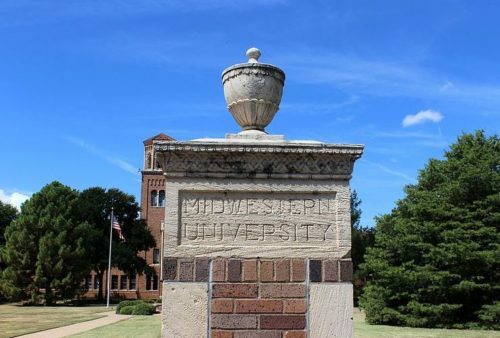 Midway University’s online MBA program can be completed in just 12 months 100% online. 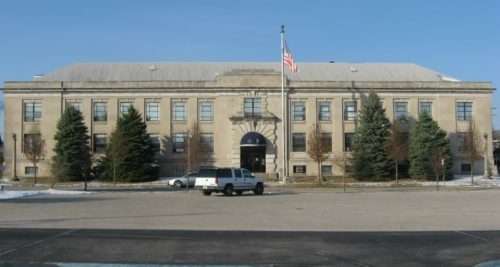 Midway offers some of the most unique concentrations of any school, featuring concentrations in equine studies, healthcare administration, sport management, and tourism and event management. Some of the courses offered in these concentrations are equine entrepreneurship, healthcare politics and policy, sports law, and Kentucky bourbon tourism and distilleries (student must be 21). This Online MBA in Healthcare Administration could be no-GMAT. 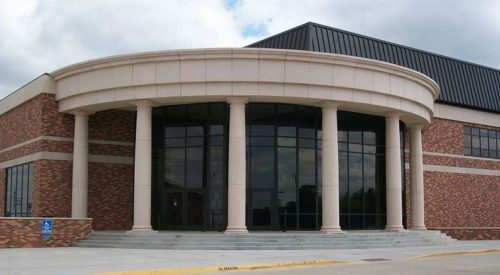 Delta State University waives the GMAT requirement for applicants whose undergraduate GPA was 3.25 or greater. Students can choose between concentrations in human resources, healthcare administration, and information systems management. Some of the courses available to students include wage and salary administration, healthcare law and ethics, business intelligence, and applied decision science. Consider this Online MBA in Accounting and Finance at $6,000 per year. Culver-Stockton University is a Christian school that seeks to blend the best parts of faith and learning. The school does require applicants to submit an official GMAT score. The school offers concentrations in accounting and finance, and management. Some of the classes students take include operations management, strategic management, global strategy, legal environment and not for profit accounting and finance. 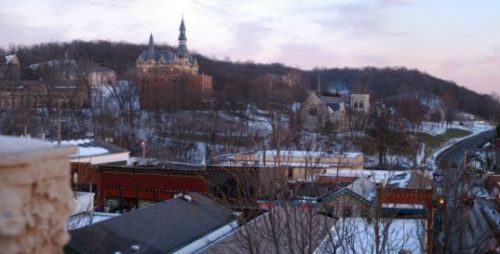 The Online MBA in Project Management at Amberton is faith-based and accessible. 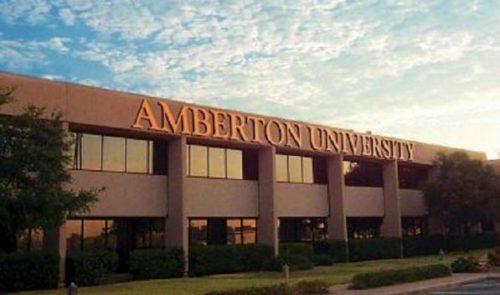 Amberton University is a Christian school that strives to ground the sound business practices taught in their online MBA program in Christian values. The program offers concentrations in project management, strategic leadership, management, and international business. Some of the courses available in these concentrations are project initiating and planning, project execution and closing, and managing the global workforce. 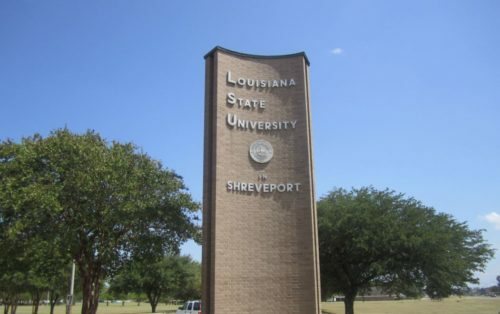 LSU-Shreveport offers an AACSB-accredited Online MBA in Entrepreneurship and Family Enterprise: a rare concentration at an amazing tuition rate. The AACSB-accredited online MBA program from LSU-Shreveport can be completed in as few as 12 months. Students can choose between concentrations in general business, entrepreneurship and family enterprise, human resource management, and finance. Some of the courses available in these programs are small business and family enterprise, strategic management of human capital, contemporary investments, and labor and employment law. The Online MBA in Supply Chain Management is one of several online MBA programs at Ashland. 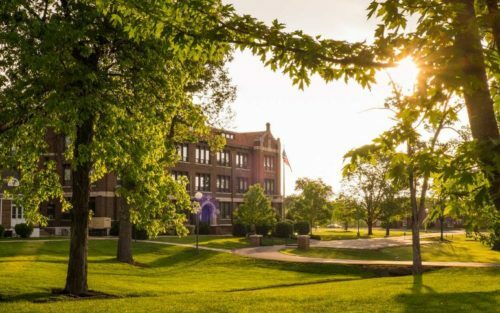 The ACBSP-accredited online MBA program at Ashland University offers students the chance to earn a certificate in management accounting in addition to other concentrations. The specializations offered by Ashland include project management, entrepreneurship, human resource management, financial management, global management, supply chain management, accounting, and the ability to customize your own specialization. There is also a concentration available in sport management. 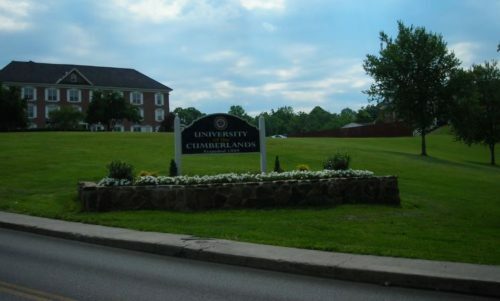 Cumberlands offers this Online MBA in Accounting at a remarkable price. 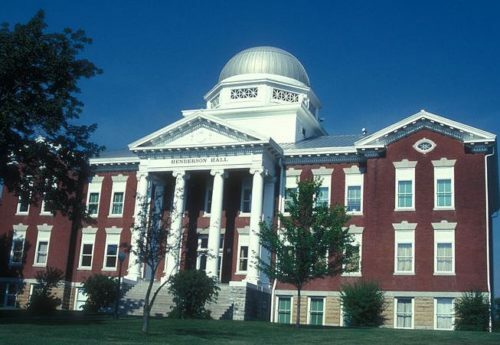 University of the Cumberlands does require applicants to submit GMAT scores from a test taken no more than five years before application and have a 2.5 GPA. This online MBA program offers a concentration in accounting. Some of the courses offered by the program are organizational behavior, legal, ethical, and social environment, advanced management information systems, taxation of business ethics, and tax research and practice. This AACSB-accredited Online MBA in International Business could propel you into an exciting international career. 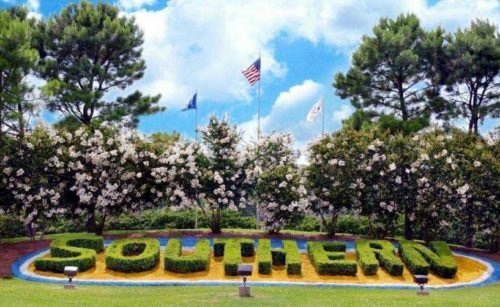 Southern University’s MBA program earned its AACSB accreditation in 2007. The program does require applicants to submit their GMAT and GPA scores. Students can choose between concentrations in entrepreneurship, human resources management, international business, and supply chain management. Some of the courses available include employment law, entrepreneurial finance, logistics and transportation management, project management, global supply chain management, and quantitative analysis for business decisions. The Online MBA in Healthcare is only one of several concentrations available at Ohio Christian. 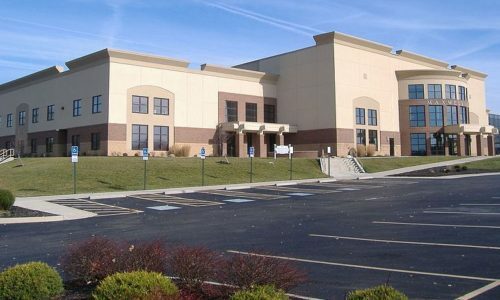 Ohio Christian University does not require applicants to submit GRE or GMAT test scores to be admitted to the program. In addition to concentrations, Ohio Christian offers an MBA/MA in Ministry dual degree program. Concentrations include accounting, digital marketing, finance, healthcare, human resources, and organizational leadership. Some of the courses students will take include legal and regulatory environment, managing and leading operations, advanced managerial accounting, and global business environment. This AACSB-accredited Online MBA in General Management is fully online. Midwestern State University’s AACSB-accredited online MBA program currently only offers concentrations in face to face and hybrid formats, but offers the general management MBA fully online. Some of the courses students will study in this program are financial accounting, managerial economics, information technology management, cost analysis and control, and business and economic statistics. 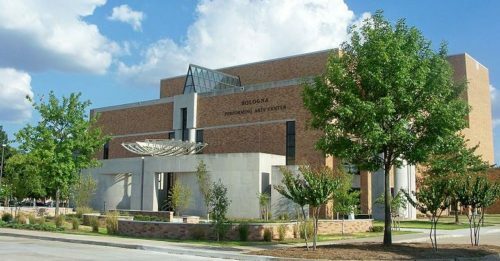 UT-Permian Basin offers a highly flexible, AACSB-accredited Online MBA in Finance. The University of Texas of the Permian Basin’s AACSB-accredited asynchronous online MBA program is designed to give students maximum flexibility. Students will take courses like accounting analysis, economic analysis, financial management, managerial accounting, legal environment, research methods in business, human resource management, and international finance. This program offers a concentration in finance. This Online MBA in Management can be completed in a timely and economical fashion. 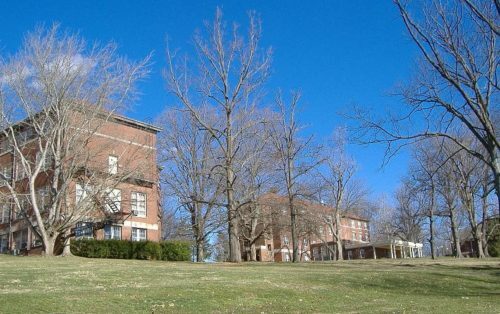 Tennessee Wesleyan University’s online MBA program allows even part time students to finish in 24 months. The program offers concentrations in management and accounting. Students will take courses like management and marketing theory, accounting and financial management, strategic management, leadership in a global economy, human capital management, production and operations management, and corporate sustainability. The Online MBA in Sales Management at Tabor approaches the discipline from a faith perspective. 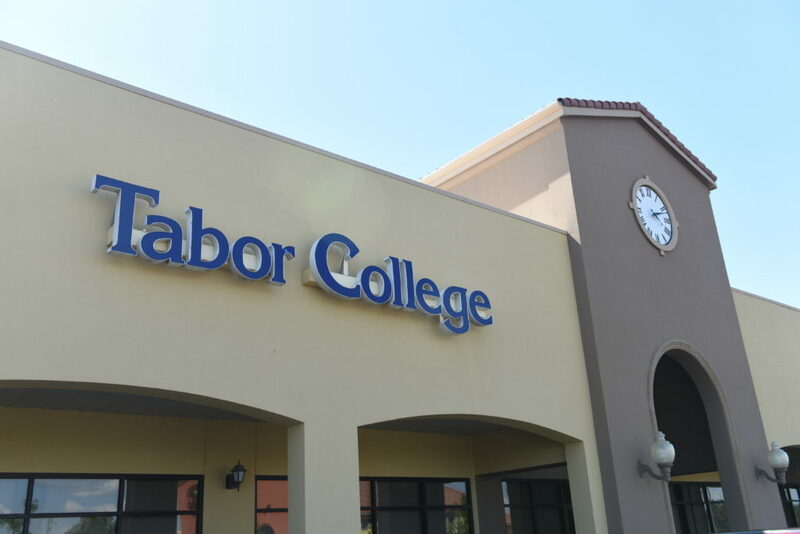 Tabor College uses rolling admissions, which means they are always accepting applications. Tabor offers concentrations in sales management and leadership. Graduates have pursued careers in project management, consulting, entrepreneurship, information technology, and accounting. 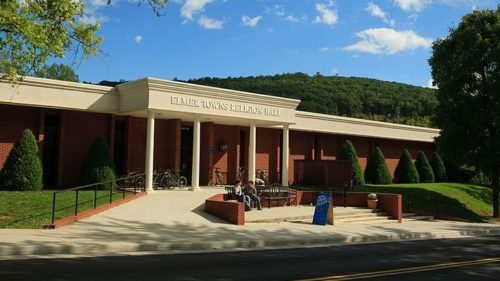 Tabor College is a Christian university that strives to teach sound business practices within the Christian ethical framework. 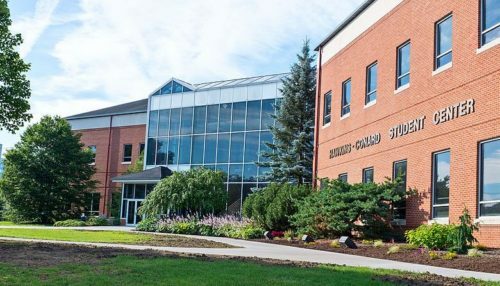 You can’t find a more affordable Online MBA in Management than the one at Fitchburg State. 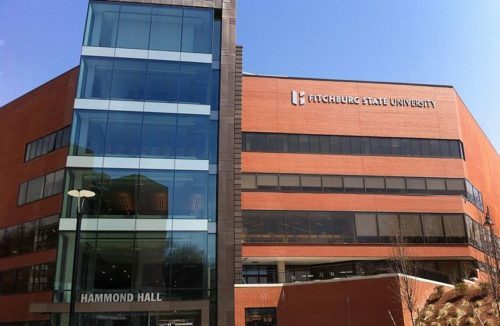 The IACBE-accredited online MBA offered by Fitchburg State University can be completed in as little as 17 months. The program is designed for students interested in careers in project management, info systems management, and public management. The program requires students to submit GMAT or GRE scores and have a GPA of 2.8 or above. Courses offered in the management concentration include organizational behavior and development, management information systems, marketing management, corporate finance, and accounting theory. 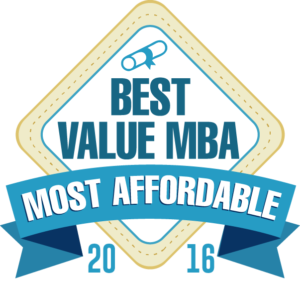 This concludes our ranking of the 50 most affordable online MBA programs. The tuition recorded in our ranking is sourced from College Navigator, a higher education database maintained by the National Center for Education Statistics. The tuition listed here is an estimate and subject to change, and should be verified with each school’s admissions department.